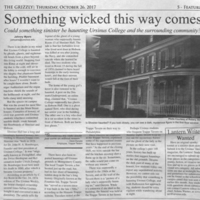 A piece discussing Shreiner Hall, Hobson Hall, and Trappe Tavern's supernatural happenings and ghost rumors. 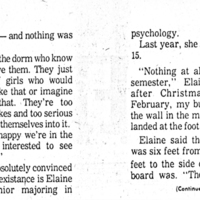 Pfahler Hall, Ritter, and Bomberger Auditorium's supernatural happenings are also mentioned. 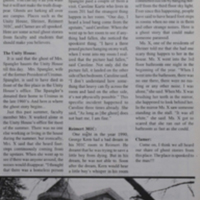 Page 3 of a piece featuring the ghosts of Reimert Hall, Shreiner Hall, and Hobson Hall. The Hobson Hall's Ghost T and Ghost Kenny feature this page. 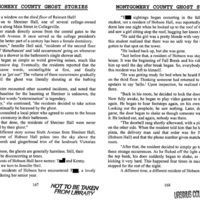 Page 6 of a profile of Shreiner Hall's history of ghosts and supernatural happenings. 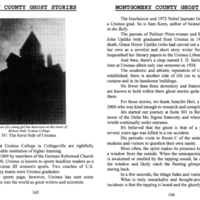 Page 5 of a profile of Shreiner Hall's history of ghosts and supernatural happenings. 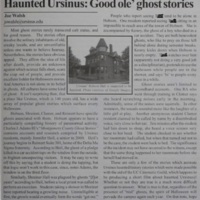 Page 4 of a profile of Shreiner Hall's history of ghosts and supernatural happenings. 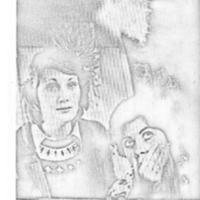 Supernatural glow off mirrored image. 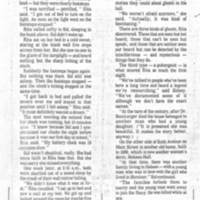 Page 3 of a profile of Shreiner Hall's history of ghosts and supernatural happenings.